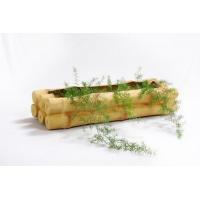 As one of the profound manufacturers, exporters and suppliers, we are occupied in offering a wide collection of Barrel Wood Rectangular Planter. 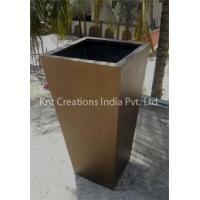 The offered planter is manufactured under the surveillance of our dedicated professionals with the aid of innovative techniques using premium quality raw materials. 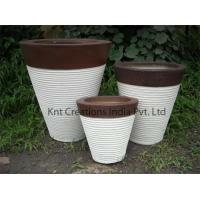 Ideal for external potted plant as well as decoration of the exteriors, this planter is highly acknowledged in the international market. 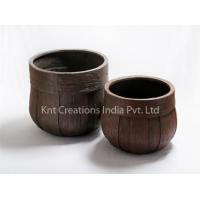 Besides, the provided Barrel Wood Rectangular Planter can be purchased from us at reasonable prices. 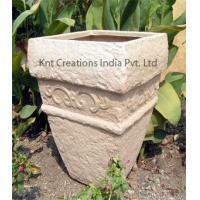 We KNT Creations India Private Limited have been a key manufacturer, exporter & supplier of Garden Decoration Items. 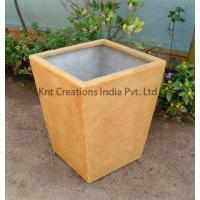 Our unique line of products includes FRP Planters, Fiberglass Planters, Wooden Planters, Artificial Rocks and Wooden Benches etc. 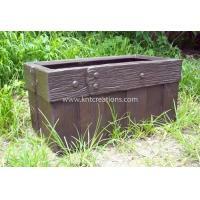 These products are just perfect for garden decor as well as maintenance. Also, we offer a variety of colors, styles, themes and other specifications to meet the different needs of different clients. 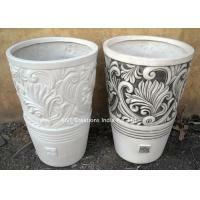 Our collection is especially designed for garden lovers, keeping their needs, latest trends and best artwork in mind. It shows a right mix of quality materials, craftsmanship and innovation. All of our products are used in different places such as hotels, schools, resorts, corporations, exhibitions and colony parks etc. With the aim to offer reasonably priced and creative Garden Decoration Products for offices as well as homes, our company is continuously striving to expand its wings in this business horizon. 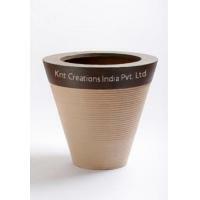 Started in the year 1997, KNT Creations India Private Limited is a major Manufacturer, Service Provider, Wholesaler, Distributor, Supplier, Trader, Importer & Exporter of Garden Decoration Products encompassing Planters & Benches, Custom Made Theme Decorations, Rocks, Rock Panels, Waterfalls & Ponds, Aqua Features, Bird Baths and Climbing Walls, etc. As an ISO 90012008 recognized company, owning the state-of-the-art designing infrastructure equipped with modern technology, it has made its presence resonantly felt in the domestic and overseas markets. Rock & Water International is a division of M/s Fiberol, who has got sound expertise in "Reproduction of the Art". 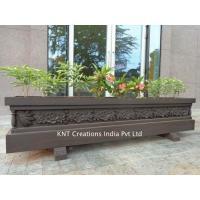 KNT Creations India Private Limited keeps up with both traditional skill and modern technologies to produce internationally acclaimed Garden Decoration Products. 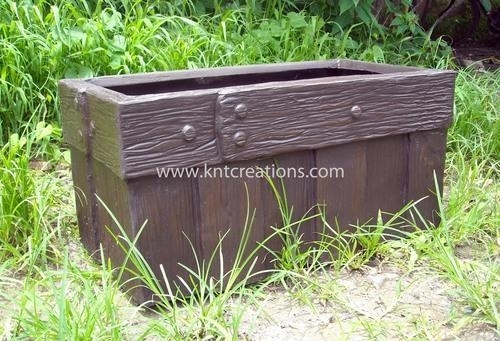 Our craftsmen and artists symbolize excellent workmanship and artistic impeccability when it comes to fashion high-test Garden Decoration Products which add a special charm and beauty to your garden area with their elegant appearance and pleasing ambiance. With quality materials, fascinating colors, durability and other unique features, the complete array is ideal for outdoor decor. To create and design myriads of Home & Garden Decoration Products for the purpose of rendering exquisite visual appeal and beautification to premises and structures. To continuously strive for value-for-money products for our clients. In the near future, we will source all Home and Garden Decoration Products.